Mass production of latest hardware means new and more powerful chips should hit the market soon. Smartphones could soon be about to get even more powerful after Samsung confirmed it had started production of its next-generation mobile hardware. The South Korean giant has begun mass production of its newest 10-manometer processors, which should mean slimmer, more powerful and more efficient mobile devices. 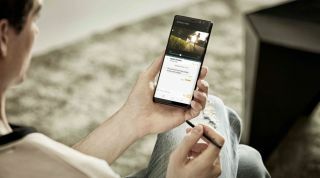 The new hardware is being produced using Samsung's second-generation FinFET manufacturing process, known as 10LPP (low power plus) at its plants in South Korea and Texas. Samsung says that the 10LPP process provides up to 10 per cent higher performance or 15 per cent lower power consumption compared to the first generation 10nm process technology (known as 10LPE or Low Power Early) which built the hardware seen in the company's recent smartphone releases. 10LPP also helps Samsung by greatly reducing the turn-around time from development to mass production, and by providing significantly higher initial manufacturing yield. Samsung now says that SoCs designed with 10LPP process technology will begin appearing in devices scheduled to launch early next year, meaning Qualcomm's new Snapdragon chip could be the first to benefit, and then become more widely available throughout the year. “We will be able to better serve our customers through the migration from 10LPE to 10LPP with improved performance and higher initial yield,” said Ryan Lee, vice president of foundry marketing at Samsung Electronics.